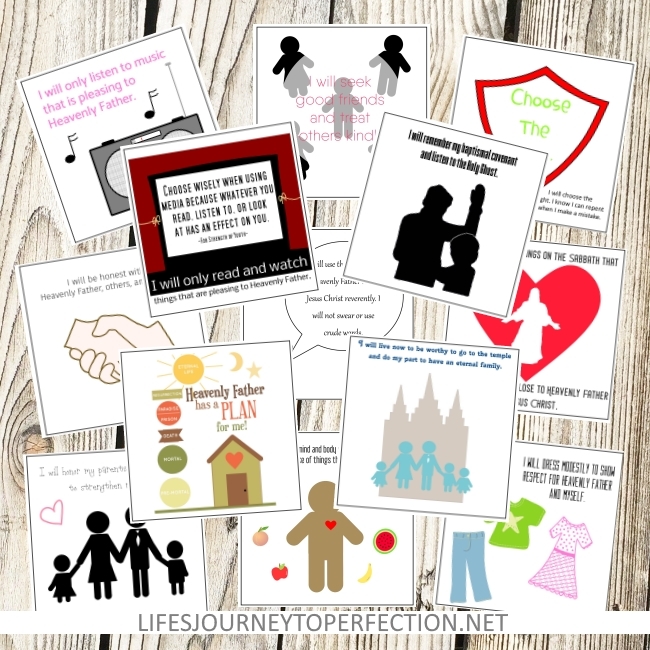 Life's Journey To Perfection: 2018 Primary Sharing Time Ideas for June Week 2: If I live worthily, the Holy Ghost will help me choose the right. 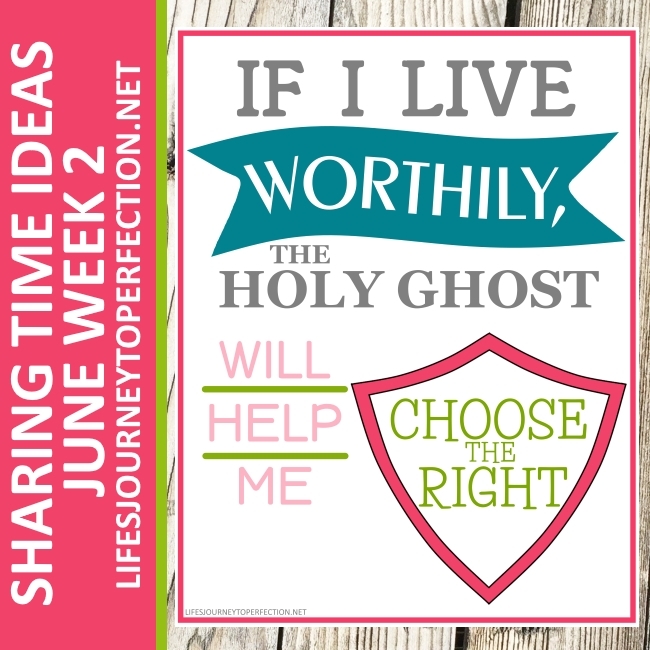 2018 Primary Sharing Time Ideas for June Week 2: If I live worthily, the Holy Ghost will help me choose the right. 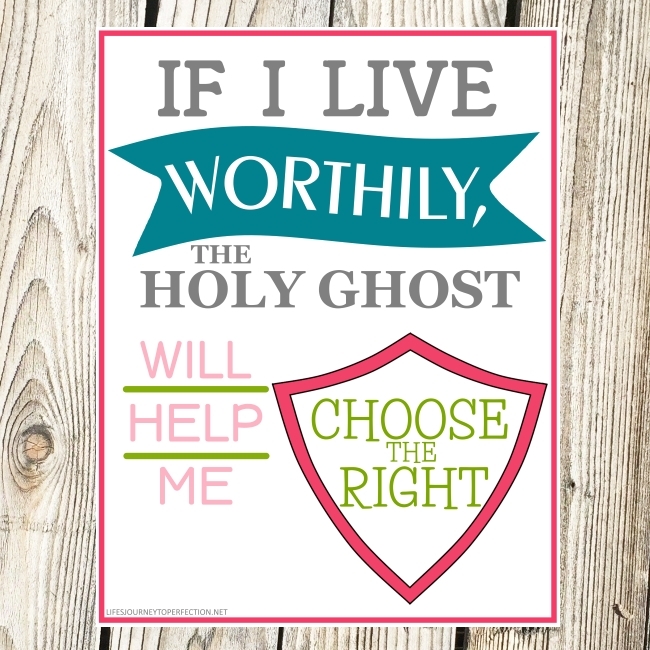 June Week 2 Topic: If I live worthily, the Holy Ghost will help me choose the right. First, I want to apologize, this was the first Sharing Time I haven't gotten out on time. I have been unplugged the past 11 days, as I have spent time with my family on a vacation. I hope that you were able to supplement with other ideas, or that these ideas may still be of use, whether for primary or for a Family Home Evening. Show the primary children the week's theme poster and invite the primary children to repeat, "If I live worthily, the Holy Ghost will help me choose the right". First, let's talk about some things that we can do to live worthily. Under some of the primary children's chairs place the My Gospel Standards. Invite the primary children to look under their chairs, invite one at a time to come up and share what their paper says. Explain that each of these things can be a way we can live a worthy life. As we live worthily then we will be able to better hear the influence of the Holy Ghost. Invite the primary children to share how living that standard can help the Holy Ghost influence them to choose the right.